Dreams are free; reality requires a budget. Here’s a link to one of the first articles we read that pointed us toward the “other” south of France as a place to retire. The author, Kathleen Pedicord, is well-versed in living overseas and runs a business centered around helping others with that concept. She writes that a couple could live modestly in Carcassonne on 1300 dollars a month total and still be able to dine out and enjoy entertainment opportunities. Since that figure is about equal to the average monthly US Social Security check for one person, it would appear that a comfortable retirement there for a couple is quite achievable. On this page I want to list a few budgets that we’ve seen from others living in France and then update ours annually to show what it is costing us. To be honest, I think that she’s left out some things from her line item list, but at least this got us started. Immediately below is a more complete accounting of what another couple spend. NOTE: Since publishing this article in the magazine the author has revised the total on her own website to a more realistic, but still low, 1350 euro. We can usually get by on 2000 euro per month. Our rent included Internet and the apartment was fully furnished. We spend 10 euro per week on 20 pounds of fresh vegetables. They now live directly beside the Mediterranean in a larger house where the rent is 70 euro more per month for size and location but the budget remains otherwise unchanged. Here’s a link that will take you directly to the cost of living section of the Chez Loulou blog. She began with a budget of 800 euro in 2008 living down in our area and her most recent listing from 2017 in Paris shows monthly expenses of 2595 euro. 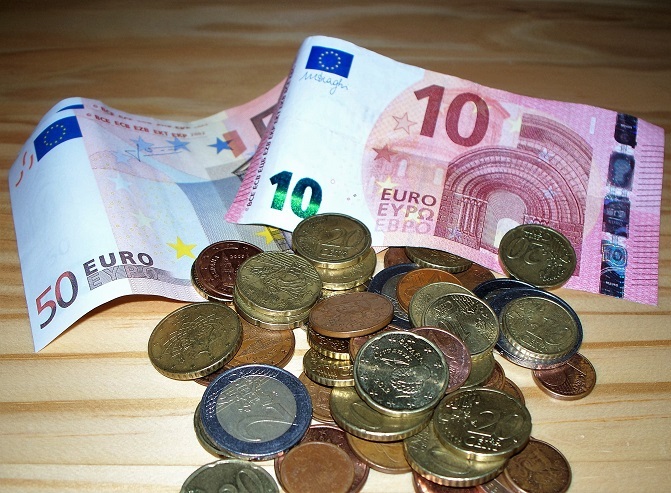 Here’s what we budget each month in euros for our family of two. Our first year here, 2016, we rented a fully-furnished house that included the utilities and taxes before buying a house. 2018 – We joined the national health plan and dropped our USA health insurance. We purchased mutuelle insurance that covers some of the out of pocket expenses. This is a personal choice as to how much coverage you feel you need. Hi Bill, interesting what one finds. The budget for the “Angers Couple” above is actually mine. And, it’s still pretty accurate, except after we purchased, our mortgage now is 100e less than we were paying for rent. And surprisingly to our US friends, we added full data when we got our smartphone, which only added 7e to our previous rate of 12e/month. Hi Terry, so nice to hear from you. Your budget helped us decide to make the move and ours is very similar now that we are here in Carcassonne. At the moment the budget is in flux because we have just decided to buy a house while renting another. It will take us a few months to get all the updates and furnishings in place but we do have time. The budget will certainly change when this lease is up because we will then not have a mortgage or rent payment as we put the money aside when we sold our home in the US just in case. Glad to be able to help Bill. When we bought our apartment, our initial plan was to pay in cash, but then I learned from our Credit Agricole bank, that they would give us a loan if we wanted. The rate was really great, IMHO, at just 2%. There were some other quirks, but all to protect the borrower, so we went ahead and took out the French mortgage. Mainly to hedge against exchange rate risk. Should the dollar drop dramatically, and we had to move back to the US, at least we’d have a nice gain on the apartment sale. So happy to have found your blog! I live in the USA and recently inherited a house in Val D’Anjou. I am trying to figure out if I can hold on to it for a few more years as husband and I are not at retirement age yet. Your budget information is very helpful. It seems that it would be less costly to live in France then where we currently live. La Grenouillette – if you’re still there, how was your experience with transfer of the inheritance? Depending on the value of the house, it can be pretty expensive to “inherit” property in France – if you’re not a close relative. We don’t really blog much, but I have so many people ask me how we did it, that I finally put together a little website for GB. But if I had known that you have one already I probably would have just referred them to you. My husband and I are planning a move to France at the end of 2018. Do you have any updates on what your budget became once you bought a home? We have updated the budget to show our current spending. Hope this helps. Hi – my wife and I are retiring to rural Normandy in May. From the research I’ve done, the monthly cost figure averaged about 1800e /month. That includes 700e in rent. We are going to rent for a year and explore, then likely buy. Does that figure seem realistic to you? Chris, That looks about right as long as you have some extra money left over for travel/vacation/entertainment. We don’t have a car and that could add a bit to the budget so hopefully you have looked at where you will want to be and how to get around. Good luck! Hi Bill – thanks for replying and very reassuring. After 35 years in the ad biz flying around the world countless times, we now seek the ‘quiet life’. I will buy a used car for occasional excursions etc. Can’t wait to get to cooler climes, been is SEA for 5 years now.